The “simple” truth is that the whole issue of saturated versus unsaturated fat is false. I don’t know how many times we’re going to have to revisit the issue of diet and heart disease. I guess for as long as the medical establishment keeps promoting bad information despite countless studies from their own members telling them that they’re wrong. Unfortunately, correcting errors in the medical community, once they’re established, is glacially slow–often taking decades. There’s nothing so stubborn as a bad idea once it’s gained traction. The stimulus for today’s newsletter is a recent lecture by a Harvard professor calling coconut oil “pure poison” because it has one of the highest concentrations of saturated fat found in any food.1 Valentina Resetarits. “A Harvard professor just busted the myth that coconut oil is good for you, calling it ‘pure poison’.” Business Insider. Aug. 20, 2018. (Accessed 13 Sep 2018.) https://www.businessinsider.com/harvard-speaker-busts-coconut-oil-health-myth-calling-it-pure-poison-2018-8 Needless to say, it was picked up en masse by the news media that loved the dramatic headlines they were able to pull from it. In any case, it once again brought the “issues” associated with saturated fats front and center. Now, we’ll get back to coconut oil in particular a bit later, but for now, let’s deal with the saturated fat myth that has been so fixatedly misapprehended by the medical community for so many years. And for that, we’ll begin with a little history. This position, of course, is still gospel with the American Heart Association (AHA).3 “The Facts on Fats: 50 Years of American Heart Association Dietary Fats Recommendations.” AHA June 2015. https://www.heart.org/-/media/files/healthy-living/company-collaboration/inap/fats-white-paper-ucm_475005.pdf And replacing saturated animal fats with polyunsaturated fats (PUFAs) has become common practice because they can–again, theoretically–reduce serum cholesterol levels and help prevent heart disease. And indeed, plenty of previous research has linked PUFAs in vegetable oil, nuts, and seeds with a lower risk of heart disease. Based on these studies, recommendations by the AHA, and approval by the FDA, doctors have routinely advised patients to replace animal fats like butter, cream, and lard with plant-based oils made from corn, soybean, and canola. In 2009, Health Canada followed suit and approved the use of a claim of reduced disease risk on labels of vegetable oils and foods containing said vegetable oils.4 “Summary of Health Canada’s assessment of a health claim about the replacement of saturated fat with mono-and polyunsaturated fat and blood cholesterol lowering.” Health Canada February 2012. https://www.canada.ca/content/dam/hc-sc/migration/hc-sc/fn-an/alt_formats/pdf/label-etiquet/claims-reclam/assess-evalu/sat-mono-poly-fat-gras-eng.pdf The health claim, as with the FDA, was related to the replacement of saturated animal fats with unsaturated fats, including polyunsaturated fatty acids, for “a reduced risk of heart disease by lowering blood cholesterol levels.”5 Health Canada Health Canada’s Food Directorate reviewed the available published literature and concluded that, when saturated fats were replaced with polyunsaturated fatty acids, there was a statistically significant reduction in total and low-density lipoprotein (LDL) cholesterol, that the result was a reduction in the risk of coronary artery disease, and that the therapeutic health claim was substantiated by scientific evidence and therefore was valid and “relevant to the Canadian population,” given nearly half of Canadians have hyperlipidemia (medical speak for high cholesterol). But, and this is a big but, this has never been proven by gold-standard studies that randomly assigned people to specific diets to see how different foods and fats impacted health and longevity. Omega-6 polyunsaturated fatty acids: Is a broad cholesterol-lowering health claim appropriate? As it turns out, a 2014 gold-standard study found the exact opposite–that careful evaluation of the evidence suggests that allowing a health claim for vegetable oils rich in omega-6 linoleic acid but relatively poor in omega-3 α-linolenic acid may not be warranted.6 Richard P. Bazinet and Michael W.A. Chu. “Omega-6 polyunsaturated fatty acids: Is a broad cholesterol-lowering health claim appropriate?” CMAJ. 2014 Apr 1; 186(6): 434–439. https://www.ncbi.nlm.nih.gov/pmc/articles/PMC3971029/ Specifically, the study found that some vegetable oils that claim to be healthy may, in fact, increase the risk of heart disease. Specifically, the study noted that corn and safflower oil, which are rich in omega-6 linoleic acid but contain almost no omega-3 α-linolenic acid, are not associated with beneficial effects on heart health. As part of their study, the authors reanalyzed a 2013 study that found that a “group [that] replaced saturated fat with sources of safflower oil or safflower oil margarine (rich in omega-6 linoleic acid but low in omega-3 α-linoleic acid)…had serum cholesterol levels that were significantly decreased (by about 8%-13%) relative to baseline and the control group, which is consistent with the health claim.” However, the rates of death from all causes of cardiovascular disease and coronary artery disease significantly increased in the treatment group. So, is the American Heart Association wrong about their recommendation to avoid foods high in cholesterol and to replace saturated fats, like those found in animal foods, with polyunsaturated fats, like those found in vegetable oils? Oxysterols (oxidized cholesterol derivatives) found in the diet from commercially fried foods such as fried chicken, fish, and French fries are absorbed and contribute to arterial calcification. And that both cigarette smoke and the trans fatty acids found in partially hydrogenated oils inhibit the synthesis of prostacyclin, which inhibits blood clotting. By increasing the ratio of thromboxane to prostacyclin, these factors interact to interrupt blood flow, thereby contributing to heart attack and sudden death. Essentially, then, these diet and lifestyle factors– especially from too many PUFAs and fried foods–likely underlie the persistent national burden of heart disease. A key point in this study has to do with the interaction between oxidized cholesterol and a compound called sphingomyelin, a phospholipid found in the cellular membranes of coronary artery cells. Oxidized cholesterol (oxysterol) enhances the production of sphingomyelin. This increases the sphingomyelin content in the membranes of the cells lining the coronary arteries, which in turn enhances the interaction between the membranes and ionic calcium (Ca2+), thereby increasing the risk of arterial calcification. As the study points out, patients undergoing bypass surgery have greater concentrations of oxysterols in their plasma than cardiac catheterized controls with no stenosis and have five times more sphingomyelin in their arteries than is found in the artery of the placenta of a newborn. The bottom line, according to the study, is that people with heart disease have higher levels of sphingomyelin in the walls of their arteries, especially at the branch points of the arteries that supply blood to the heart, which is where the most blockages occur. They also have significantly more oxidized cholesterol in their blood and tissues than people without heart disease. In essence: the more oxidized cholesterol in the blood, the more sphingomyelin in the walls of the arteries. And the more sphingomyelin, the more arteries become calcified. Incidentally, this study was conducted by Dr. Fred Kummerow, an emeritus professor of comparative biosciences, who was 98 years old at the completion of his study. He died in 2017 at the age of 102. The 2015 Dietary Guidelines for Americans still recommends limiting the intake of saturated fatty acids (SFAs) and replacing them with unsaturated fatty acids. A Presidential Advisory from the American Heart Association recently released its evaluation of the relation between dietary fats and cardiovascular disease and likewise recommended a shift from SFAs to unsaturated fatty acids, especially polyunsaturated fatty acids (PUFAs).8 Frank M. Sacks, Alice H. Lichtenstein, Jason H.Y. Wu, et al. “Dietary Fats and Cardiovascular Disease: A Presidential Advisory From the American Heart Association.” Circulation. 2017;136:e1–e23. https://www.ahajournals.org/doi/abs/10.1161/CIR.0000000000000510 And a 2018 review published earlier this month in Advances in Nutrition similarly concluded that omega-6 fatty acids reduce concentrations of LDL cholesterol and non-HDL cholesterol in a dose-dependent manner and have a neutral effect on blood pressure.9 Maki KC, Eren F, Cassens ME, Dicklin MR, Davidson MH. “ω-6 Polyunsaturated Fatty Acids and Cardiometabolic Health: Current Evidence, Controversies, and Research Gaps.” Adv Nutr. 2018 Sep 4. https://www.ncbi.nlm.nih.gov/pubmed/30184091 It also concluded that current evidence from studies in humans does not support concerns that omega-6 fatty acids contribute to systemic inflammation. In conclusion, the study supported current recommendations to emphasize consumption of omega-6 PUFAs as a replacement of SFAs. Are you confused yet? I mean, how can this be? How does the medical community end up with two diametrically opposed points of view–about everything from PUFAs to cholesterol and from saturated fat to overall diet? As it turns out, this conundrum is not unusual at all in the world of medicine. As we’ve discussed before, the medical community disagrees about many issues. The problem is that you don’t tend to hear about any disagreement. Unless you’ve read my newsletter on it, for example, you might think that every doctor believes that statin drugs save lives. Not so, the medical community is in stark disagreement about their value. The problem is that the large organizations (AMA, AHA, ACS, etc.) that control information flow to the public allow only the established, conservative view to reach you. That’s why changing established medical views can take years–decades, actually. Take trans fatty acids as just one example. Finally, after almost four decades of those of us in the alternative health community railing against the medical consensus and calling trans fats the single biggest killer in our diets, the medical community has finally jumped in and promoted a clamp down on trans fats–conveniently forgetting that it was the medical community itself that pushed the world into the heavy consumption of trans fats as the “healthy” alternative to saturated fats. (At one time the Journal of the American Medical Association even carried ads for partially hydrogenated corn oil margarines.) Their blind conservative stubbornness is literally responsible for millions and millions and millions of deaths. 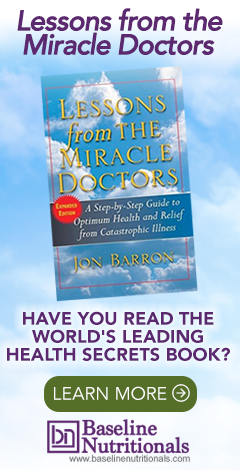 Look, that’s not to deny the incredible, even miraculous things that doctors do–just that when they’re wrong, the consequences can be catastrophic and take decades to correct. And any congratulations we might want to give the medical establishment for their glacial turn away from trans fats must be tempered by the realization that in turning people away from trans fats, they have pushed them towards a greater consumption of polyunsaturated fats–a dietary mistake that I consider the second greatest killer in the modern diet after trans fats. Deep sigh! So, with this understanding in hand, let’s look at some of the conflicting views we’ve examined in this newsletter and sort things out. How can one set of “scientific” studies say consuming lots of polyunsaturated fats in place of saturated fats is the greatest thing since zippers, while another set of studies says these same PUFAs will kill you? As it turns out, you get very different results depending on what you’re tracking. The official notion that saturated fats cause heart disease goes back some 70 years. As I’ve explained in previous reports, it was back in the late 1940’s when Ancel Keys, an American physiologist took note of the fact that American business executives, “presumably” among the best-fed people in the world, had high rates of cardiovascular heart disease, whereas in post-war Europe, cardiovascular disease (CVD) rates had decreased sharply in the wake of reduced food supplies. From this observation, Keys postulated a correlation between cholesterol levels and CVD and initiated a study of CVD by examining the diets and health of Minnesota businessmen (the first prospective study of CVD).10 Keys A, Taylor HL, Blackburn H, et al. “Coronary heart disease among Minnesota business and professional men followed 15 years.” Circulation. 1963 Sep;28:381-95. https://www.ncbi.nlm.nih.gov/pubmed/14059458 The study itself took 15 years to complete and would not be published until 1963. Nevertheless, by 1955, Keys had seen enough to present his diet-lipid theory of heart disease at a meeting of the World Health Organization in Geneva. It was not well received–at least in Europe. As his critics stated, “…. the evidence from 22 countries for which data are available indicates that the association between the percentage of fat calories available for consumption in the national diets and mortality from arteriosclerotic and degenerative heart disease is not valid; the association is specific neither for dietary fat nor for heart disease mortality. Clearly this tenuous association cannot serve as much support for the hypothesis which implicates fat as an etiologic factor in arteriosclerotic and degenerative heart disease.”11 Yerushalmy, J. and Hilleboe, H.E. “Fat in the Diet and Mortality from Heart Disease. A Methodologic Note.” New York State Journal of Medicine, 57, 2343-2354. http://www.scirp.org/reference/ReferencesPapers.aspx?ReferenceID=1307558 Oh snap! In America, however, Keys’ theory received a very different reception. In 1956, representatives of the American Heart Association (AHA) appeared simultaneously on the three television networks (yes, there were only three back then) broadcasting to the entire country and promoting Key’s lipid hypothesis in general, and what was termed the “Prudent Diet” in particular. They informed (or more accurately terrified) the country that a diet which included large amounts of butter, lard, eggs, and beef would lead to coronary heart disease. Instead, they recommended substituting corn oil and high-trans-fat margarine for butter, cold breakfast cereals (based on high-glycemic, refined grains and sugar) for eggs, and chicken and fish for beef. The bottom line is that even though numerous studies have found no evidence that saturated fats impact cardiovascular mortality or total mortality,13 Mozaffarian D, Micha R, Wallace S. “Effects on coronary heart disease of increasing polyunsaturated fat in place of saturated fat: A systematic review and meta-analysis of randomized controlled trials.” PLoS Med. 2010;7(3):e1000252. https://www.ncbi.nlm.nih.gov/pmc/articles/PMC2843598/ , 14 Harcombe Z, Baker JS, Davies B. “Evidence from prospective cohort studies does not support current dietary fat guidelines: a systematic review and meta-analysis.” Br J Sports Med. 2016;3:e000409. https://www.ncbi.nlm.nih.gov/pubmed/27697938 , 15 Ramsden CE, Zamora D, Majchrzak-Hong S, et al. “Re-evaluation of the traditional diet-heart hypothesis: analysis of recovered data from Minnesota Coronary Experiment (1968-73).” BMJ. 2016;353:i1246. https://www.ncbi.nlm.nih.gov/pmc/articles/PMC4836695/ , 16 Hamley S. “The effect of replacing saturated fat with mostly n-6 polyunsaturated fat on coronary heart disease: a meta-analysis of randomised controlled trials.” Nutr J. 2017;16:30. https://www.ncbi.nlm.nih.gov/pmc/articles/PMC5437600/ , 17 Chowdhury R, Warnakula S, Kunutsor S, et al. “Association of dietary, circulating, and supplement fatty acids with coronary risk: a systematic review and meta-analysis.” Ann Intern Med. 2014;160:398-406. https://www.ncbi.nlm.nih.gov/pubmed/24723079 , 18 Skeaff CM, Miller J. “Dietary fat and coronary heart disease: Summary of evidence from prospective cohort and randomised controlled trials.” Ann Nutr Metab. 2009;55:173-201. https://www.karger.com/Article/Pdf/229002 , 19 Schwingshackl L, Hoffmann G. “Dietary fatty acids in the secondary prevention of coronary heart disease: a systematic review, meta-analysis and meta-regression.” BMJ Open. 2014;4:e004487. https://www.ncbi.nlm.nih.gov/pmc/articles/PMC3996809/ medical orthodoxy chose to ignore those studies and cherry pick the studies that showed that a change in diet lowered cholesterol levels…so, ipso facto, it must save lives. As we’ve seen, so much of the medical position on saturated fats and heart disease hangs on cholesterol being the culprit. But as we’ve also already seen, that position hangs on some dubious medical conclusions. And in fact, for decades I’ve been arguing against this theory–and I haven’t been alone. Surprisingly, much of the medical community–although you wouldn’t know it by listening to the AMA and the AHA–agrees with me. There are three key points to understand. LDL cholesterol, what doctors call the bad kind, isn’t one thing. It comes in four basic flavors as determined by their size and density: (1) large (the fluffiest), (2) medium, (3) small, and (4) very small (the densest). Studies have linked the smaller, dense LDL cholesterol particles to a higher risk of heart disease and stroke compared to the larger fluffy particles.20 Song TJ, Cho HJ, Chang Y, et al. “Low-density-lipoprotein particle size predicts a poor outcome in patients with atherothrombotic stroke.” J Clin Neurol. 2015 Jan;11(1):80-6. http://www.ncbi.nlm.nih.gov/pmc/articles/PMC4302183/ , 21 Karim Harchaoui, Wim van der Steeg, Erik Stroes, et al. “Value of Low-Density Lipoprotein Particle Number and Size as Predictors of Coronary Artery Disease in Apparently Healthy Men and Women: The EPIC-Norfolk Prospective Population Study.” Journal of the American College of Cardiology. Volume 49, Issue 5, 6 February 2007, Pages 547–553. http://www.sciencedirect.com/science/article/pii/S0735109706028634 This is true even if your overall LDL cholesterol is in the desirable range. Moreover, small, dense LDL tends to go along with related problems that increase cardiovascular disease risk — low HDL, high triglycerides, high blood sugar, high blood pressure, and obesity. Small LDL particles are dangerous because they are better able to get into artery walls where dangerous plaque forms, thus promoting plaque build-up in your arteries). In addition, they are less easily cleared from the bloodstream. Now, here’s where it gets interesting. A diet high in saturated fat (the kind the new guidelines tell you NOT to eat) mainly boosts the numbers of large-LDL particles, whereas a low-fat diet, high in carbohydrates (the kind of diet the guidelines tells you that you should eat) boosts production of the smaller, dangerous forms of LDL. In case you didn’t understand the import of what you just read, what it means is that the big, fluffy LDL particles which come from eating saturated fats are largely benign, while the small, dense versions that come from eating carbohydrates lead to an early death. And even when it comes to the small LDL particles–as we saw earlier–they only contribute to heart disease when they are oxidized, a process driven by the consumption of excess polyunsaturated fatty acids from vegetable oils. Ah, but Jon, if what you’re saying is true, what about all those studies that prove that taking statin drugs to lower cholesterol saves lives? And the answer is: they don’t exist. What exists are studies that show statin drugs lower cholesterol, not that they save lives. (Sound familiar?) And this isn’t just my opinion. There is huge debate within the medical community, which, once again, you don’t hear much about because it runs counter to medical orthodoxy–most likely for at least for the next 30-40 years, at which point the giant oil tanker of medical opinion will finally have been able to effect a turnaround. The second reason we have for understanding that the saturated fat/CVD connection is a myth is that prolonged experience with high meat/high fat/low carb diets has shown that natural saturated fat–even if it doesn’t come from coconuts–does not necessarily raise cholesterol levels and clog arteries without other factors being present (although these diets are quite likely to promote osteoporosis and colon cancer — but that has nothing to do with the fat in those foods). The “simple” truth is that the whole issue of saturated versus unsaturated fat is false. As I’ve explained before, when it comes to diets, doctors don’t really know what to recommend, don’t really understand the essence of proper diet themselves, and therefore, make a mash of the job when trying to explain proper diet to their patients. Even though there are “officially” endorsed diets like the AHA diet, which several doctors do indeed claim to follow, most doctors follow no diet at all, living on burgers and fries and food on-the-go. To put it simply, they’re as confused as the rest of us. The bottom line is why would you ask advice from people who are that confused? And keep in mind, doctors don’t study diet and nutrition in medical school–at least not to any notable degree. Most of what they think they know comes from reading an article in a medical journal or reading about the results of some epidemiological study that may or may not be fatally flawed. If you read two good books on nutrition, you know more than 90% of the doctors dispensing nutritional advice. That wouldn’t necessarily be a major problem if it weren’t for the fact that these same doctors don the mantle of expertise and pronounce from on high what diet you should follow…based on their own ignorance. It is the height of arrogance. Look, it makes all the sense in the world to ask your doctor’s advice when it comes to most diseases and trauma. They study that. But it makes no sense to ask most doctors about diet and nutrition. They’re really pretty ignorant about it–sorry to put it so bluntly. Trans fats. Avoid all synthetic trans fats, but there is no reason to avoid natural trans fats such as vaccenic and conjugated linoleic acids as they are health promoting. Saturated fats. Even though the medical community officially vilifies them, the studies as a whole do not support that point of view. In fact, as we’ve seen, studies overwhelmingly indicate that cutting back on saturated fat will not add a single day to your life. By all means, and as with all foods, eat them in moderation–but eat them nonetheless. Cholesterol. The cholesterol theory of heart disease is dying a slow death. It got its start based on flawed studies, and it’s now slowly but steadily losing credibility within the medical community itself. Polyunsaturated vegetable oils. Absolutely, avoid the highly refined versions–corn oil, safflower oil, etc.–found in your local supermarket. But there is no reason to avoid moderate amounts of more natural, less-refined versions. HOWEVER, do not overconsume as a replacement for saturated fats. And ABSOLUTELY make sure to consume enough omega-3 fatty acids to balance them out. Diet. Follow the specific version of the Mediterranean Diet I’ve recommended for years. Please, clarify this phrase “a low-fat diet, high in carbohydrates (the kind of diet the guidelines tells you that you should eat) boosts production of the smaller, dangerous forms of LDL”. Does it mean that this form of cholesterol is produced predominantly by the human body under the low fat consumption rather than absorbed from the food sources unlike the other forms? If yes, what are the references that confirm this fact. I would like to read the answer to this question as well. Thanks.